The Philippines has declared an end to a five-month military operation in a southern city held by militants from the so-called Islamic State. The fierce urban conflict in Marawi sparked the country’s biggest security crisis in years. The government said troops put a stop to the last stand of rebel gunmen after they’d refused to surrender. “The last group of strugglers, they were caught in one building… there was a firefight, so they were finished,” said the Philippines’ Defence Minister Delfin Lorenzana. More than 300,000 people were displaced in the confict in which the authorities said more than 900 militants were killed, along with nearly 200 others. The rebel occupation surprised the military and sparked concern that ISIL had gained influence among local Muslims. President Duterte had declared Marawi City liberated six days ago, though fighting was not over. More gunfire and artillery were reported on Monday. A senior military commander said troops would secure the city from any militants who remained. 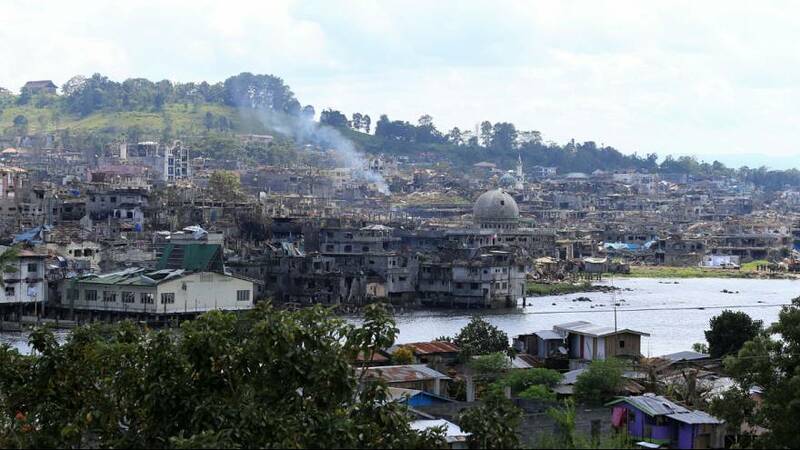 The government estimates that rebuilding the heart of Marawi could cost more than a billion dollars.